Time to get my feet wet and try Korean cuisine! SongCook's boasts Authentic Korean dishes with both regular table seating and low traditional tables where you sit on the floor. The menu is extensive and we were all new. Where to start?! We started by asking our server. We had a lot of questions which caught the attention of the manager, Dale. He quickly jumped in to help us choose the right dishes and not too many for our group. We started with a Korean drink, Soju. We got a bottle of Wine Soju and Chamisul Soju. Soju is a Korean Rice alcohol. The Wine Soju is VQA and made in Ontario. Who knew? It tasted like white wine with a twist. A delightful drink to have with dinner. Soju straight is much like vodka, but not quite. It's quite strong! SongCook has a large variety of Soju for you to try. After all of us reading reviews, there were a few things we needed to try. 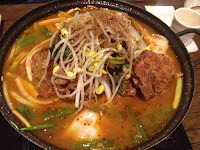 The first one on the list was Pork Bone Soup. The server brought a burner to our table to keep the heaping pot of soup warm. It was meaty with green beans, bean sprouts and potatoes. It was a little spicy, but it didn't overwhelm the amazing flavour of the actual soup. Another must was Kalbi Short Ribs. They were so tender, meaty and addicting, I don't know how we were able to share them without stealing from each other's plates. Next time, I want a whole plate to myself! 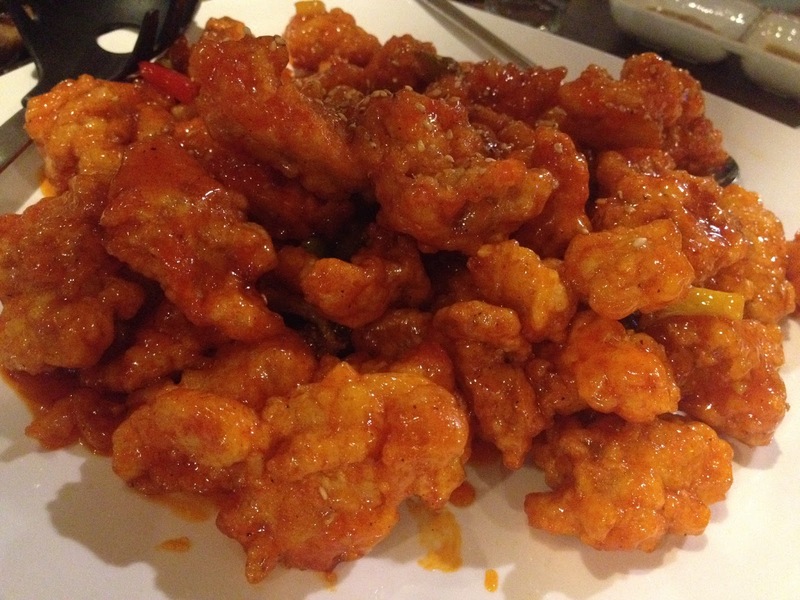 When you see a mount of Korean Fried Chicken at your table, don't hide your huge grin. I never thought the 5 of us would finish it, but we did, easily. When I didn't think I had room, I made an exception for this. The sauce was more sour than sweet and the batter was like no other. The batter was thin and crispy around pieces of juicy chicken. More please. 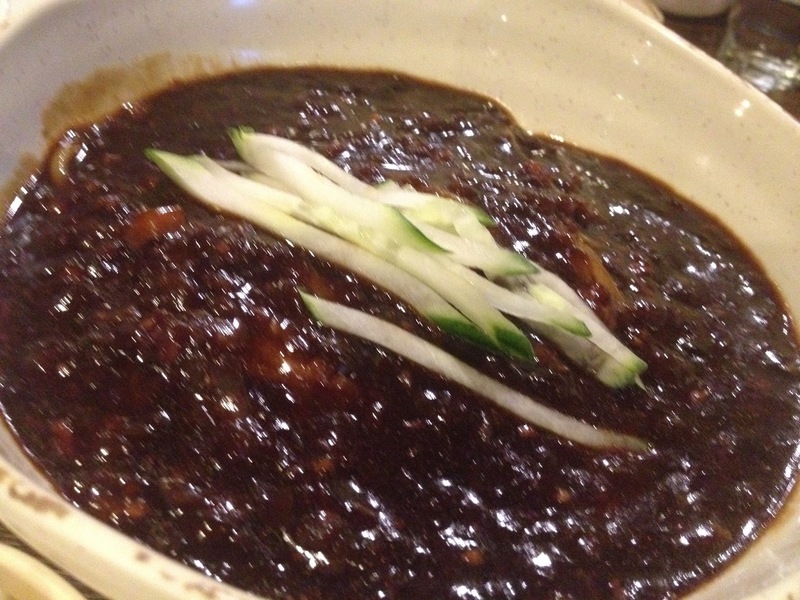 When a bowl arrived filled with black sauce, I was instantly worried....WTH is that?! When someone else started dishing it out, I was relieved to see it was a bowl of housemade noodles topped with black bean sauce and ground beef, JaJangMyum. Still worried, I took a small portion and soon realized I would be having seconds. The black bean sauce had a little sweetness to it; it was great! The noodles were so long we had to cut them with scissors! When I see Pork Belly on a menu, you know I won't be far from Iit. 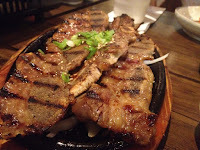 They brought a grill to our table, place strips of pork belly, onion and mushrooms on it to cook as well as a plate of greens to wrap those grilled treats in. Nothing like pork belly hot off the grill. It doesn't get any fresher than that! 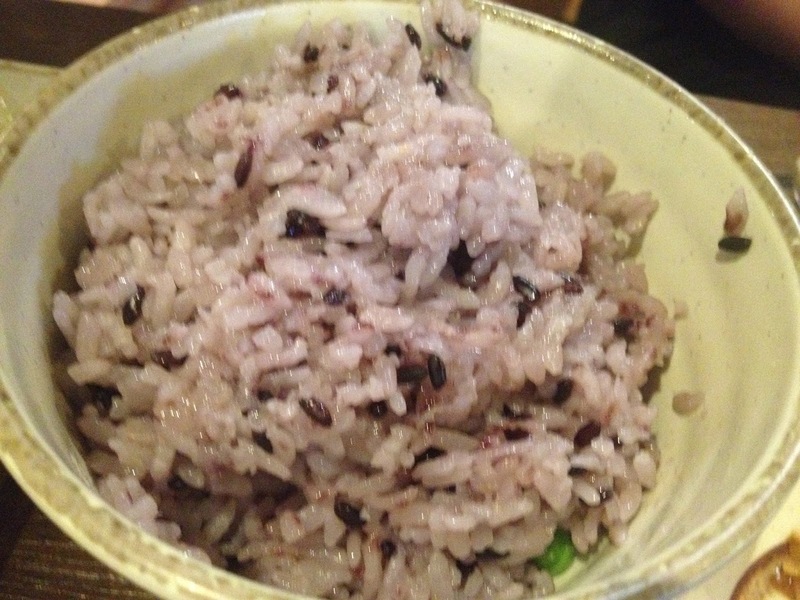 Purple Rice! I didn't know what it was either! It's a mix of white rice and black rice cooked in a stone bowl. It does take longer to arrive, but it's worth the wait. I'll never order white rice again. It's got great flavour and texture, but not to overwhelm the food, but to accent it. This will be your new favourite. Try it! This was a fantastic visit. 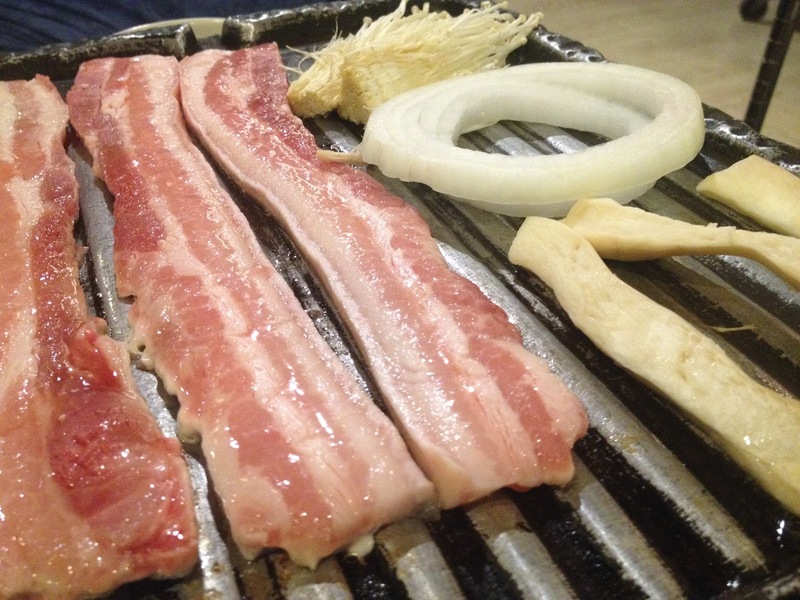 We learned so much about Korean food, cooking methods, ingredients and more. Dale was great and spent much time with us and our many questions. The servers were fantastic, always trying to make room on our table for more. I'd love to come back here and try more!